Why do we love San Francisco City Hall so much? It's the light! 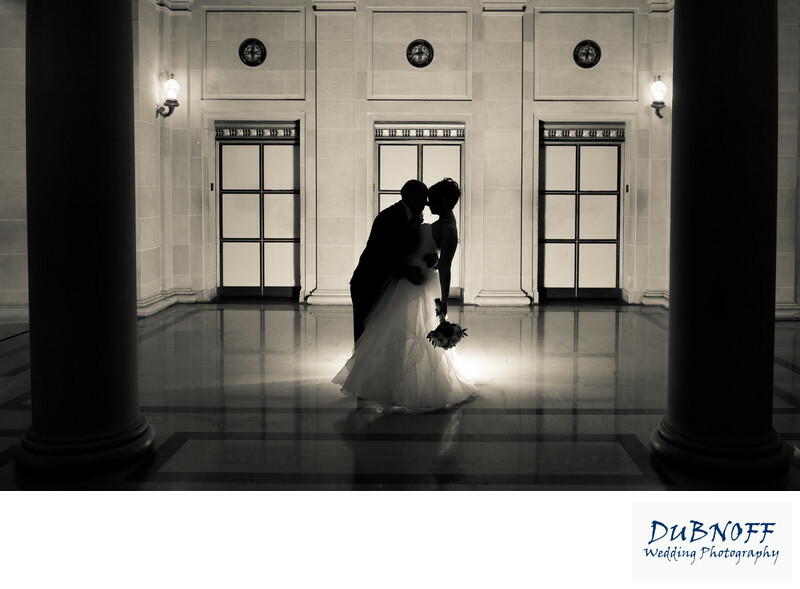 This building is very unique in that it is almost like a professional wedding photography studio. This is especially true on the North side of the building. Every photographer knows that Northern light is the most popular type of light. You can generally assume that artists will prefer studios with a Northern exposure. One of the great things about Sn Francisco City Hall, is that you have light coming from both directions. So when we set up a window shot, we know that we will have some ambient front lighting to work also coming from the other window. This makes for some amazing lighting on many or our photos. There are many places at SF City Hall to take advantage of this type of light, but the 3rd floor is the least crowded and has some nice backgrounds. 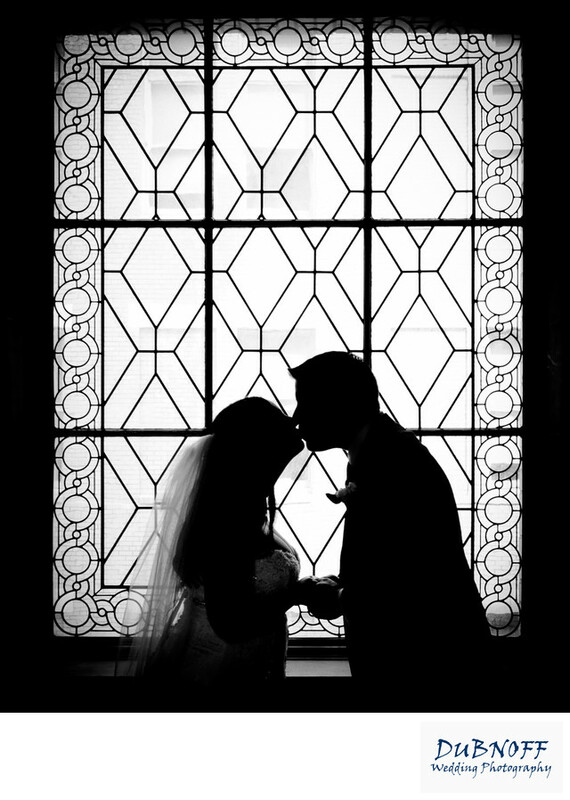 In this shot we decided to turn off all our lighting and just make a silhouette bride and groom photo with the beautiful city hall window in the background. When we ask our marriage couples to do this type of photo, we ask them to just barely kiss (or not at all). This prevents the couple looking like they are attached somehow. Photography kissing is different then normal kissing. We ask our couples to do very light kissing to create the proper mood. But more importantly, we are trying to make them look good when kissing.